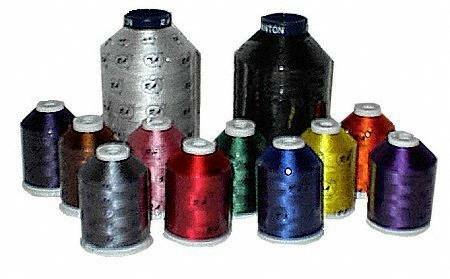 This Robison-Anton embroidery thread package includes the same great base colors as our standard 12 pack, featuring 10 mini-king spools of 40-weight Rayon embroidery thread, plus a "super sized" King spool of Black and Snow white. The king size spools contain 5,500 yards of rayon thread and give you the advantage of having a larger quantity of those "more frequently used" colors. Save $13.89 over the per-spool price!